The picture from last week was taken at the top of the stairs leading down to the Seattle Transit Tunnel's last station, Convention Center. 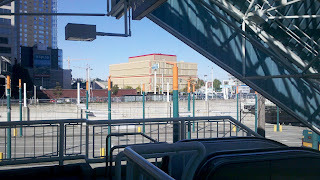 Although it is part of the Tunnel, this station is almost entirely outdoors. 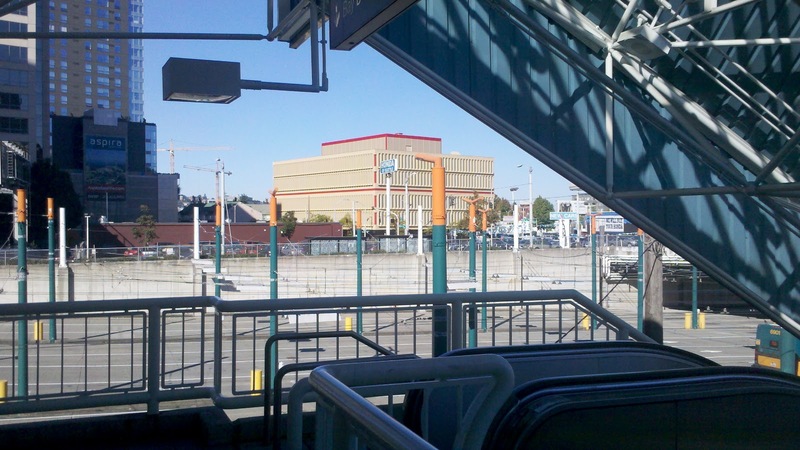 The bi-colored hockey stick-like structures are lights for the large paved area where Eastside and southbound buses are staged at the end and beginning of their routes.